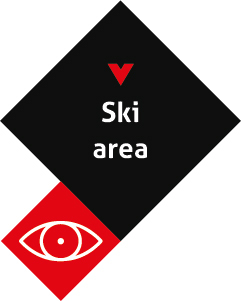 Enjoy an adventure in one of the biggest connected ski areas. Nestling in the heart of the Savoie region, the Val d’Isère + Tignes ski area has over 300km of runs for you to explore. Family fun on slopes suited to all levels - have a blast in our play areas. Whether you’re a beginner or a seasoned skier, Val d’Isère is reputed for the variety of its ski area, both on and off-piste. Follow the tracks of the greatest champions on the iconic Face de Bellevarde. Many of them have tackled this slope - famous for its technical challenges. Extending from 1,785 metres to 3,428 metres up on the summit of the Glacier du Pissaillas, Val d’Isère has great snow all year round – thanks to its network of artificial snow machines.